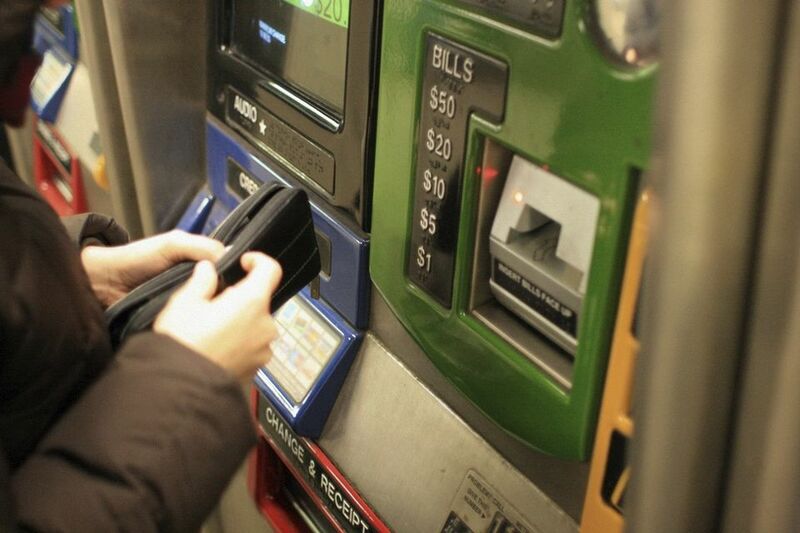 Pay for your subway and bus rides with ease using your Metrocard. A MetroCard is a thin plastic card that is used to pay for bus and subway fares in New York City. You can buy them at a kiosk inside of nearly any subway station. They are also sold at some newsstands. What Type of MetroCards Are There? Where Can I Buy A MetroCard? MetroCards are available for sale in NYC Subway stations. MetroCards are not available for sale on NYC buses. Merchants displaying MetroCard signs in their windows (newsstands, grocery stores, etc.) sell select types of MetroCards. There is a $1/card fee when you buy a new MetroCard. Rides are $2.75 each, but if you put $5.50 or more on your card, you get an 11% bonus. This only applies at the time of purchase i.e. if you put $3 and then later $3 on your card you do not get the bonus. Up to 4 people can ride together on a single Pay-Per-Ride MetroCard. If multiple people are riding together on the same MetroCard the first person can swipe the card through the necessary number of times and other riders can walk through the turnstile following them. Pay per ride MetroCards are refillable. Unlimited ride fares are good for one person to ride the subways and buses as much as they like during a specified window of time. Unlimited Ride fares cannot be used more than once every 18 minutes. This is designed to prevent fraudulent use of the card by multiple people. Subway station agents cannot override the 18-minute rule -- you must wait for the time to expire. 1-Day Fun Passes are no longer available. 7-Day Unlimited Ride MetroCards are $31 and are good until midnight on the 7th day. 30-Day Unlimited Ride MetroCards are $116.50 and are good until midnight on the 30th day. How Can I Pay for a MetroCard? MetroCard Vending Machines inside Subway stations take cash, ATM cards, and credit card. MetroCard Vending Machines can only return $6 change and do so with dollar coins. Subway Station Booths only accept cash for the purchase of MetroCards. How Do I Know How Much Time/Money Is Left on My MetroCard? When you swipe a Pay-Per-Ride MetroCard through a Subway turnstile, you will see the remaining balance displayed. MetroCard Readers are available at Station Booths and in Subway Stations and if you scan your card through, it will display the expiration date for Unlimited Ride fare, as well as the remaining balance on your Pay-Per-Ride MetroCard. Single Ride tickets cost $2.75. They are available for sale only through MetroCard Vending Machines in Subway stations. They can only be purchased using cash. They must be used within 2 hours of purchase to ride a Subway or Bus. They are valid for one transfer Bus to Bus. Up to 3 kids 44" tall and under can ride for free with a paying adult on a bus or subway. Infants (under two years of age) can ride express buses free as long as they ride on the lap of the accompanying adult. Should You Use Travelers Cheques in NYC?